Our StandiT legs are much more than a motor in an aluminum tube. Each circuit board includes its own Atmega328P micro-controller running at 16 MHz, 2-phase optical encoder, isolated serial port, current sensor, a shunting relay for dynamic braking of the motor, and a single capacitive touch interface. Even more, we have made sure all the electronics are fully Arduino compatible for easy hacking. The boards can be accessed just by popping off the top adapter. There is a 10-position connector that breaks out the ICSP and UART pins of the micro-controller. We will be selling the programmer after we ship the Kickstarter orders on our website, but we will also provide information on building one yourself. Each leg has two 4-pin circular connector cables for communications and power, allowing users to chain up to six legs together. In the future we will provide kits that could allow as many legs as you want, as long as you can power it. 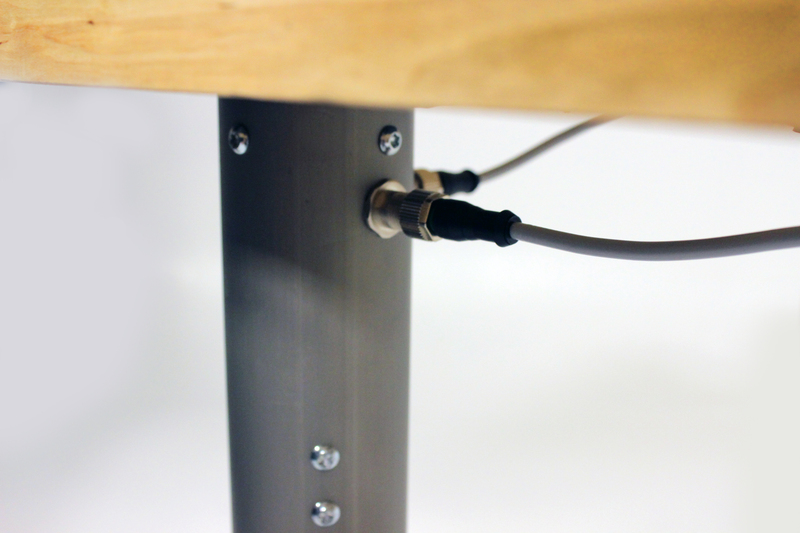 Hackers and makers can achieve more than six legs with some small modifications to the wiring setup. Advanced makers can replace the top adapters by removing 3 screws, and the rubber feet are just friction fit. 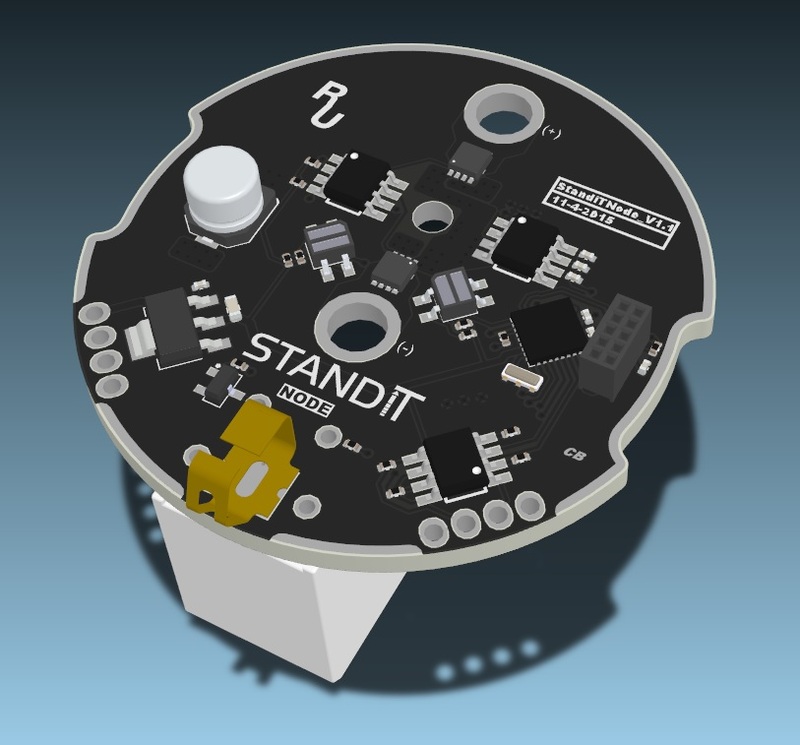 Overall, StandiT legs are a competitive general linear actuator, allowing users to create anything; from a driving simulation chair, to a giant spider robot. Each leg is 100 lb load rated at a max speed of 1.6”/s, while the cost is only $79.